Doctor’s offices and medical clinics function and serve patients in diverse ways, such as in areas of women’s health, general medical care, and annual physicals. While it’s common to go to the doctor when you’re sick, why schedule an appointment for preventative and wellness care when you’re not ill? Optimal health and wellness depend on how you care for yourself, preventatively. At Virginia Premium Medical Care in Ashburn, our physicians want to build an individual rapport with each patient to build a foundation that is advantageous in sickness and in health. Preventative care is crucial to your health and should be implemented daily. 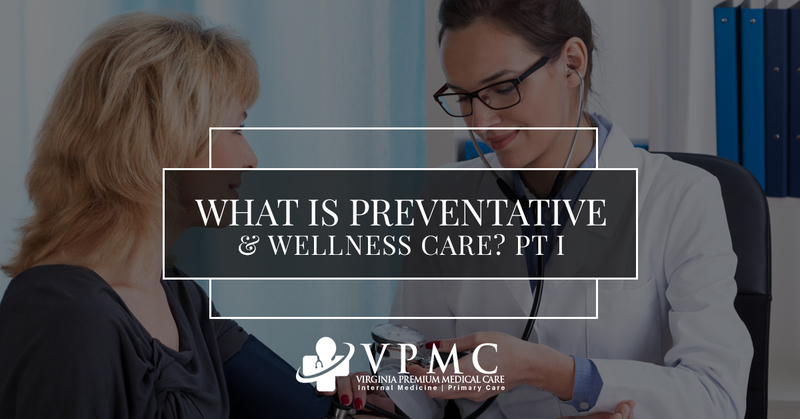 Join us in today’s post as we examine what preventative and wellness care is and why it’s impactful to your health. What is Preventative and Wellness Care? Preventative and wellness care is an umbrella for both services that our physicians in Ashburn can provide, and it includes the actions you can take as a patient to improve your overall health. 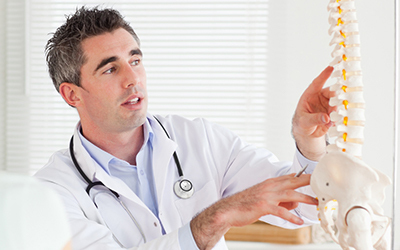 What services can you find in our Ashburn medical clinic? Blood pressure screenings – This service can be scheduled alone, but planning a preventative and wellness check up with us is ideal. A blood pressure screening is a crucial diagnostic tool that tells us whether your blood pressure is too low, normal, or high. Low blood pressure can explain symptoms of dizziness and fatigue and can become an issue if it drops too low and deprives your brain and heart of oxygen. Too-high of blood pressure drastically increases your chances of heart disease and stroke. Knowing where your blood pressure is can help guide you towards making changes to prevent any complications. Diabetes testing – Testing for prediabetes or type 2 diabetes will include a blood glucose test to measure your blood sugar levels. A range that is too low or too high will present symptoms. Low blood sugar can cause blurry vision, fatigue, and skin tingling, while the symptoms of high blood sugar are extreme thirst and nausea. Both low and high blood sugar levels are correlated with type 2 diabetes. If you’re overweight and inactive, you’re at risk for prediabetes and type 2 diabetes. Preventing diabetes is completely doable, and the physicians here are able to have a dialogue with you and help you manage the disease. Cholesterol testing – Testing your cholesterol levels is also important to your wellness care because it can give us a good glimpse into any health risks you may face. High cholesterol levels are symptomless but raise concerns for your overall health. High cholesterol levels cause heart disease and atherosclerosis, so being able to prevent and manage these conditions is beneficial for your health. Doctor counseling – Scheduling a preventative and wellness consultation with one of our Ashburn physicians is highly advantageous to your health. Together, we can address your health and create a plan for optimal health — whatever that looks like for you! Immunizations – Immunizations are a preventative measure to keep you and those around you healthy. Schedule vaccinations for your little one and your annual flu shot as well! We’ve just explored what preventative and wellness care services that your doctor can provide, but there is much more that needs to be addressed on this topic! Stay tuned for part two, as we examine what actions people need to take for preventative wellness. For comprehensive preventative and wellness care services mentioned in today’s post, reach out and ask us how we can help! At Virginia Premium Medical Care in Ashburn, we’re here to get to know you as an individual and treat you according to your whole health picture! Schedule an appointment today!